In the shipbuilding sector there is a need for efficiency, portability and flexibility in any equipment used for measuring or fit-out of sub-systems and structures. Fortunately most portable measuring equipment in use today has these capabilities with high accuracy and ease of use also part of the platform. One of the key drivers of productivity in the shipbuilding sector is the use of the latest technologies such as laser projection systems that enable manufacturers to accurately and error-free assemble components and sub-assemblies to hulls and super-structures. These systems project a visible laser template of light on the surface of the super-structure in 3D and help guide the assembly of mating components – saving time and providing almost fool-proof operations. Many shipbuilding operations are using products such as optical alignment telescopes from Taylor Hobson to align drive shafts as well as align periscope shafts in submarine applications. 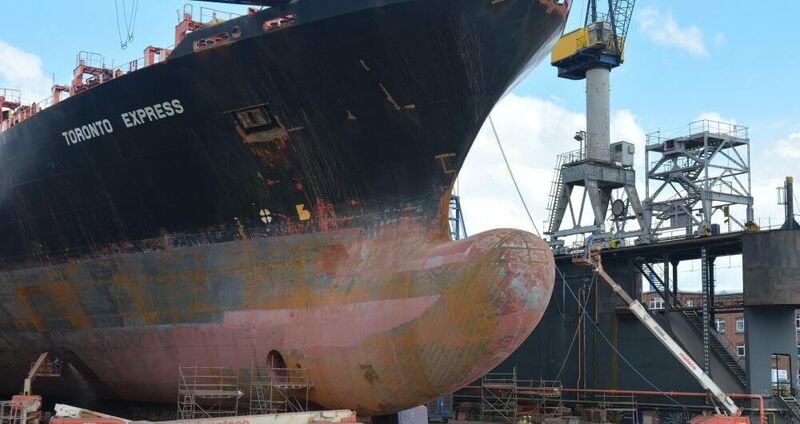 The use of this type of equipment which can also be fitted with CCD camera systems for digital output and data capture allows shipbuilders and maintenance groups to maintain the performance standards for the vessel and help to reduce maintenance turn-around times.